Modern lives are going digital, and healthcare is no exception. Social networks have become an important health resource, and not just for millenials. Nearly 90 percent of older adults have used social media to seek and share health information. It can be hard to know how to navigate the healthcare social media rules. Providers, agencies, and brands need to create informative, engaging social content. At the same time, you need to follow industry rules and regulations. In this post, we look at the many benefits of using social media in healthcare. We also provide some tips on how to keep your social channels compliant and secure. “Health care systems must provide trusted information on immunization, flu virus, therapy, ebola, you name it.” So says Michael Yoder, the social media consultant for Spectrum Health. Social media is a key way to get that information to the public. At the same time, in a world of “fake news,” there’s a lot of health misinformation on social networks. Dr. Zubin Damania is better known on social as ZDoggMD. His fun social videos counter untrue and irresponsible health claims. He has built a community of more than a million followers on his Facebook page. On Twitter, Dr. David Juurlink shares important information about the ongoing opioid crisis. He is also dedicated to taking down health non-science. More people now get their news from social media than from newspapers. That makes social a key place to share breaking information. It’s a perfect platform for critical instructions during a health crisis. Typhoon Mangkhut hit the Philippines in September 2018. As it approached, the World Health Organization turned to its social channels. The organization posted infographics about staying safe during and after the typhoon. The American Health Lawyers Association, the American Society for Healthcare Risk Management, and the Society for Healthcare Strategy and Market Development worked together to create a quick, free guide to crisis communications in healthcare. Here are some of their key points to help you prepare for a crisis in advance. Want to make sure you’re ready to use social media in a healthcare crisis situation? Check out our post on social media crisis management. People post about everything online, including their health. Hashtags like #flu can reveal when diseases are popping up in new locations. Public health organizations can even get a sense of the severity of symptoms. “Social media offers advantages over traditional data sources, including real-time data availability, ease of access, and reduced cost. Social media allows us to ask, and answer, questions we never thought possible.” So wrote professors Michael Paul and Mark Dredze in their book, Social Monitoring for Public Health. Official healthcare social media channels can also provide real-time health information. For example, look at the Centers for Disease Control’s tweets during flu season. They share updates on flu activity across the United States to encourage people to get a flu shot. Healthcare issues can be tricky to talk about, even with doctors, especially for subjects seen as private or embarrassing. That can get in the way of effective healthcare. For example, according to the American Sexual Health Association (ASHA), only 12 percent of young people said they had been tested for sexually transmitted diseases in the last year. But more than half of STDs affect those between the ages of 15 and 24. ASHA wanted to encourage this age group to view STD testing as a normal part of taking care of their own health. So, they created a healthcare social media campaign. The main component was a social video. In it, comedian Whitney Cummings talking to college students about sexual health. The video got more than 3.6 million views in 10 weeks. Facebook ads drove 77 percent of the 107,0000 visits to the campaign landing page. Those ads were responsible for 43 percent of clicks on the campaign’s clinic locator. That shows viewers planned to take real action. Nearly 40 percent of young people (ages 14 to 22) have used online tools, to try to connect with other people who have similar health challenges. That includes social media groups. That connection can have real benefits for patients. Researchers published in the journal Surgery created a Facebook group for 350 liver transplant patients, caregivers, and healthcare providers. A full 95 percent of survey respondents said that joining the group had been positive for their care. Facebook groups are also a great place for healthcare professionals and patients to interact. Those interactions can include patient support and education. One study is evaluating if a Facebook group for coronary heart disease patients can increase participation in cardiac rehabilitation . Of course, here are privacy concerns when discussing health online. this is a great use of Facebook secret groups, which do not show up in search results. Users have to be invited to join. Social networks offer an opportunity to connect with potential study and survey participants. Like brands, researchers need to understand social media demographics. It’s also important to know how to use keywords, and how to target social media ads. Connected & Open Research Ethics is a project of the University of California San Diego. The group help researchers establish guidelines for ethical research using new digital tools. Social networks are among those tools. A recent survey found that nearly three-quarters of patients use online reviews as the first step when finding a new doctor. The survey found that most patients tend to leave positive reviews. Sometimes, of course, a doctor or practice does receive a negative review. When that happens, 65 percent of respondents said it was important for the doctor to respond. Nearly two-thirds of U.S. healthcare marketers used social media to reach healthcare professionals in 2017. On the consumer side, 2017 marked the first time more than half of firms (56.8%) used social marketing. 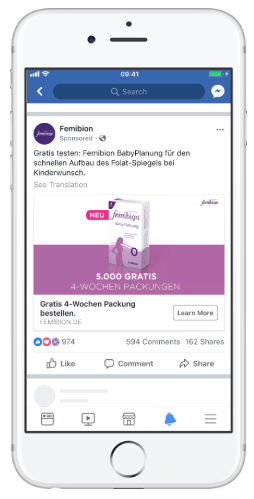 In Germany, Merck Consumer Health used a Facebook ad campaign for its Femibion BabyPlanung product. The goal was to raise product awareness through product sampling. The campaign brought in 10,000 leads. “Only 50% of women are consulting their gynecologist when making the decision to get pregnant. But they are searching for information on the internet and for experiences within social media.” So said Beate Rosenthal, global brand director digital & media, Merck Consumer Health. People need a reason to follow and engage with you online. Valuable content that educates and informs is a great reason. For example, the Mayo Clinic creates regular social videos. The “Mayo Clinic Minutes” cover popular health and wellness subjects. Recent examples include skiing safety, allergies, and making healthier pancakes. The videos regularly rack up more than 10,000 views. This one, on the rise of e-cigarettes, has been watched more than 20,000 times. Make sure the tone you use is appropriate for your brand personality. The Mayo Clinic videos and the ZDoggMD videos are both engaging in their own way. But it would be very jarring if they exchanged styles. Effective use of social media in healthcare requires a strong voice. Think your healthcare product or organization is too boring? Think again. For inspiration, check out our post on ways to promote a “boring” product on social media. You read earlier in this post that people say it’s important for a doctor to respond to negative online reviews. That’s a good reason to use social listening effectively. Otherwise, you may not know when people leave negative posts about you on social networks. And if you don’t know about the negative posts, you can’t respond. Of course, social listening is about much more than addressing negative posts. It also allows you to track conversations relevant to your field. Those conversations can help you understand how people feel about you. You can also learn how they feel about the competition. You might even identify new ideas that help guide your marketing communication strategy. Industry buzzwords: The Healthcare Hashtag Project is a great place to start. Healthcare social media accounts are subject to some pretty strict rules and regulations. HIPAA compliance is a big one, but you also need to make sure you follow FDA rules about advertising. One of the best-known examples of social media and healthcare clashing in the eye of authorities involves Kim Kardashian. She endorsed the morning sickness drug Diclegis in an Instagram post. Her post contained a link to risk information and limitations of use. But, the FDA determined this information needed to be within the post itself. Hootsuite can get more of your team involved without increasing compliance risk. People from across your organization can contribute social media content. Then, only those who understand the compliance rules can make a post live. Your organization needs a social media strategy, a social media style guide, and social media guidelines. These can help make sure everyone understands the social strategy. They also make it clear how the strategy aligns with the relevant rules and regulations. Include clear, HIPAA-compliant guidelines for handling patient information in social posts. Don’t forget to keep an eye on the comments users leave on your social media posts and profiles, too. These can also create compliance concerns. It’s always good practice to respond to and engage with social comments. After all, no one likes talking into a void. Your followers will be more likely to engage with your content if they get a response from someone on your team. When compliance is involved, you may need to take extra steps. For example, you should remove comments that raise privacy concerns. Also watch out for inappropriate claims. It’s important to put security guidelines in place for your social media channels. You need to be able to revoke access for anyone who leaves the organization. With Hootsuite, you can manage permissions from one centralized dashboard. That means you can always control access to social channels. Integrations can help further secure your healthcare social media channels. For instance, AETracker can help you find and report issues like product complaints and off-label usage. You’ll find out as they happen, so you can take action right away. Social Safeguard can help screen your social posts against your social media policies. This prevents non-compliant posts from going live. The simple truth is that patients now use social media. They use it to look for information, find support, and make healthcare decisions. Combining social media and healthcare can be challenging, it’s true. But the use of social media in healthcare also presents incredible new opportunities. Social media is a great platform to share important health information. It’s also a key place to gather real-time research and insights. Most important, social media is away to support patients. 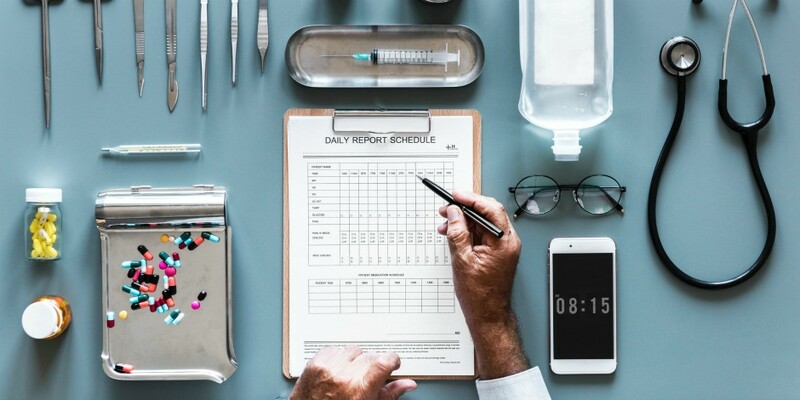 Effectively communicate with the public, improve patient experience, and ensure compliance with health care industry regulations by managing your social media presence with Hootsuite. From one dashboard, you can create, schedule, and publish to all the major social networks.